Two years in August, a crew working for the Environmental Protection Agency unexplainably removed the rock and rubble “plug” holding back millions of gallons of toxic water at the long-abandoned Gold King Mine in Colorado. That irresponsible action led to a massive 3 million-plus gallon spill of acid mine drainage and, the EPA says, 550 tons of metals, into the Animas River. But the agency, which has historically been quick to pounce on private-sector companies and individuals deemed to have violated even minor environmental rules and regulations, has thus far taken zero responsibility for an action the agency was directly responsible for. But since the agency seems much more interested in protecting its reputation as a fierce, unflinching and unwavering defender of the environment, officials there have decided to push a false narrative about what happened. 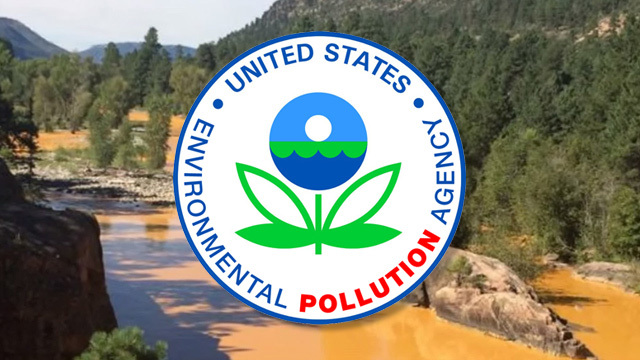 Gordon writes that the EPA has told the public its work crew was merely attempting to remove backfill that had blocked access to a tunnel in the mine, adding they never disrupted the debris and rock plug that had gathered at the mine’s opening — a plug that held back a toxic yellow-orange mix of acid mine drainage. It was just an accident that could have happened to anyone, the agency — under Mr. Environment himself, Barack Obama — wanted us to believe. But in truth, Gordon points out, the EPA is hiding the fact that its crew never stopped excavating the tunnel opening and had no intentions of doing so until it the plug was completely cleared. “The EPA began removing the plug as it had planned, even though it anticipated acid mine drainage would flow out and that the drainage could be pressurized,” Gordon said, adding that the mine crew’s actions were like poking a balloon with a pin, just to let a little air escape. “At best, the EPA’s actions were incredibly reckless,” he wrote. Without a doubt. But numerous federal officials have ignored the EPA’s incompetence, never once posing a serious challenge to the agency’s bogus narrative that the disaster was just an accident. By the way, it should be noted that when private citizens or businesses have accidents, the EPA is not forgiving; fines, accompanied by other legal actions, generally follow. The cover-up has been going on since the Aug. 5, 2015 spill. As EPAWatch.org reported, the EPA required the company responsible for the spill, Missouri-based Environmental Restoration LLC, to sign a nondisclosure agreement (a “secrecy agreement”) before it began work on the project, ensuring that any company-caused accidents would be kept under wraps by the agency. The EPA’s original denial of responsibility, by the way, was just made official again after being repeated last week by the agency’s office of inspector general, Gordon noted. But there are other reasons why EPA wants to keep this under wraps: Gordon says some acts that are grossly negligent can be prosecuted criminally under the Clean Water Act, which the agency has used in the past against private sector entities.